For years, Whistler has been world renowned as a hot spot for many sports including skiing, mountain biking, mountaineering, climbing, and paddling. One that seems to have fallen in popularity, however, is windsurfing. In the late 1970s and early 1980s, windsurfing began to rise in popularity as a sport, and Alta Lake became a hot spot for Canadian windsurfers. Whistler was the host of a number of windsurfing regattas. In July, 1981, the Squamish Citizen Shopper described the windsurfing regattas as one of the largest contributors to the summer business boom at Whistler. ‘Sailboarding’ was further described as Canada’s fastest growing water sport. Wednesday nights were race nights on Alta Lake, with up to 30 windsurfers showing up when it was busy. Whistler windsurfers were amongst the best in the sport, and the most notorious partiers. After a sharp rise in popularity, leading to windsurfing becoming an Olympic sport in 1984, windsurfing seems to have fallen off the radar in Whistler. So where did windsurfing go? Due to licensing battles and an ongoing debate about the windsurfer’s origins, the 80s saw extensive legal battles over patents and designs, which led to some companies having to cease production. In the 2000s, kiteboarding began to gain popularity, and began to rival windsurfing in popularity. It seems now that windsurfing is more of a fringe sport, especially in Whistler, where skiers are now picking up mountain bikes in the off-season. These days, the hot spot for windsurfing and wind sports has migrated south to the Squamish spit. The more consistent winds and large open space offer a veritable playground for windsurfers and kiteboarders alike. Sailing has retained some popularity in Whistler. 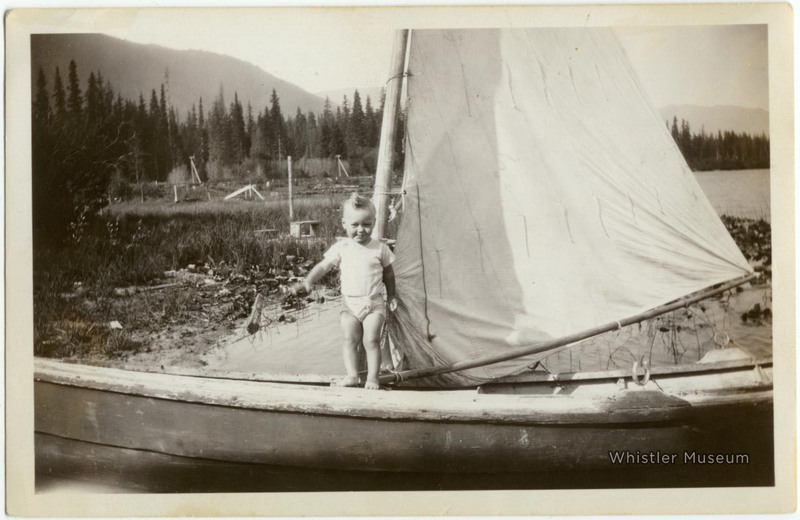 Early visitors to Alta Lake enjoyed catching the wind in a rowboat the Phillips had rigged with a sail. It wasn’t the world’s greatest sailboat, but it worked. A young sailor poses on the Philips’ home rigged sailboat. The Alta Lake Sailing Club was founded in 1966 and ran out of Cypress Lodge.The club ran ‘Jelly Fish Races’ annually in May. The early Jelly Fish Races cost 50 cents to enter and included membership to the club for the weekend. The Whistler Sailing Association is somewhat younger, having started in 2008 in response to strong local support. They continue to offer races as well as rentals and learning programs. Alta Lake still sees the occasional windsport enthusiast, and the sailing association has an active summer schedule with kids camps and lessons. They ensure that on windy days Alta Lake is still dotted with sails. The view from a sailboat on Alta Lake. 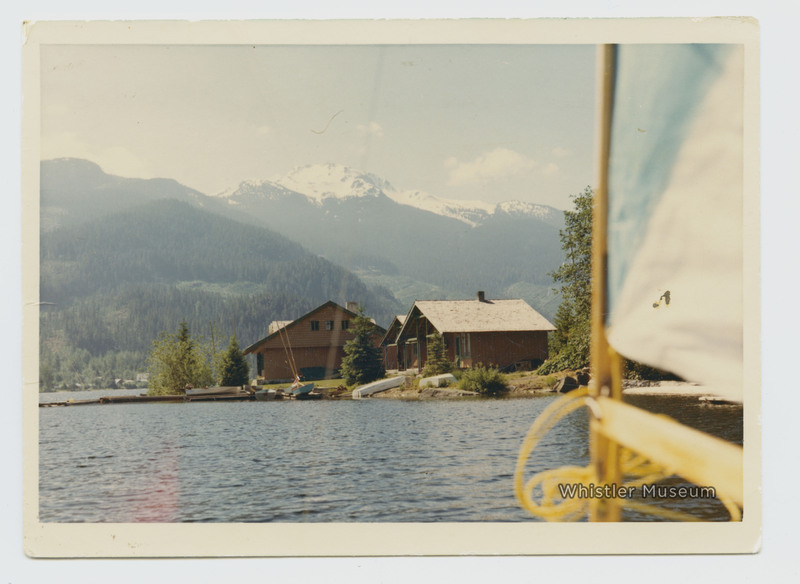 This entry was posted in Pioneers, Recreation and tagged Alta Lake, Alta Lake Sailing Club, Sailing, Whistler Sailing Club, Windsurfing. Bookmark the permalink.